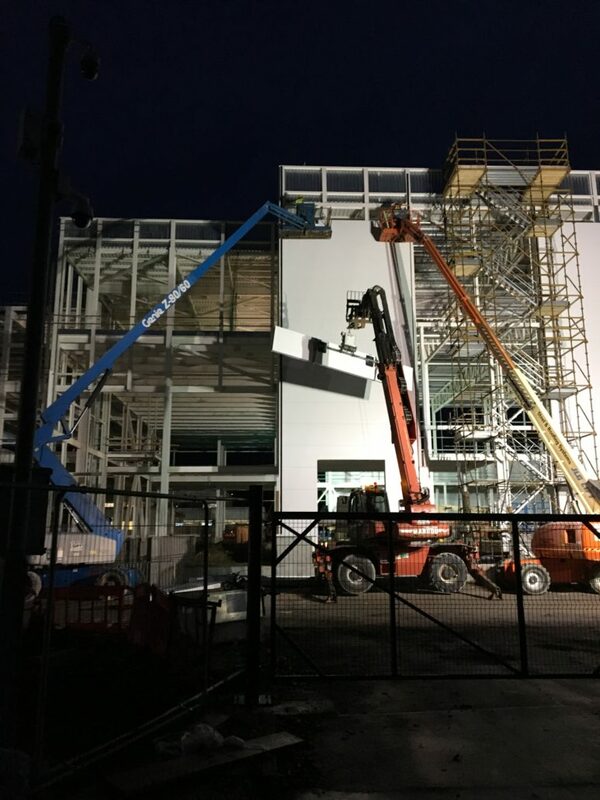 SRS are working on behalf of DPS Engineering to deliver the Ark17 extension to an existing pharmaceutical plant in Kilorglin, Co.Kerry. 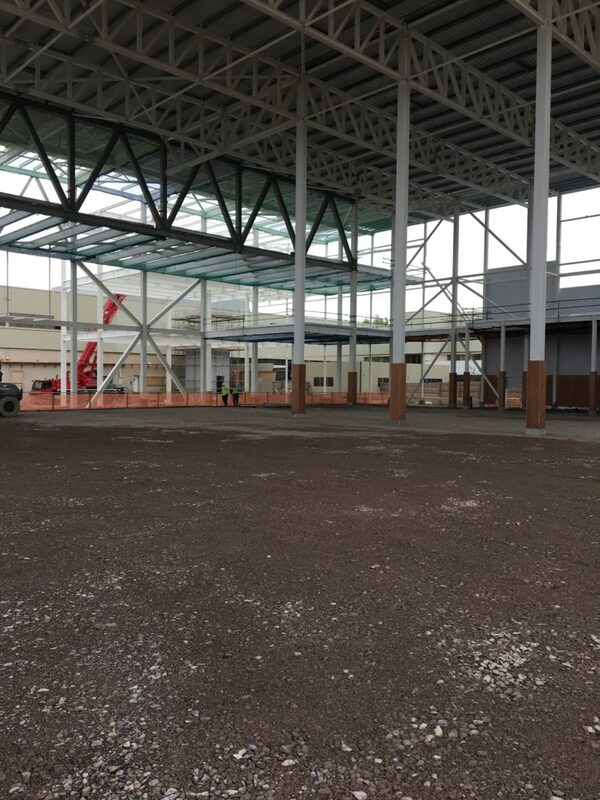 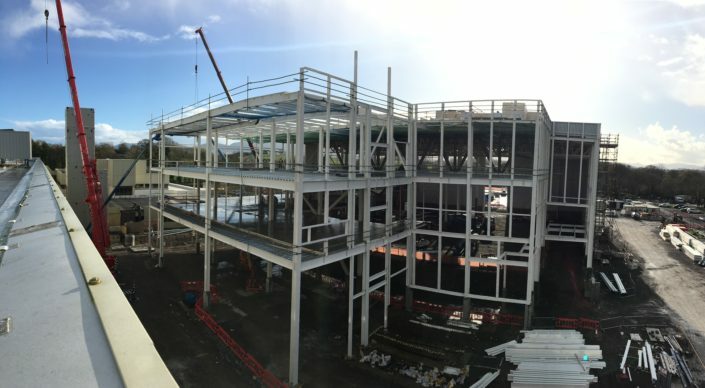 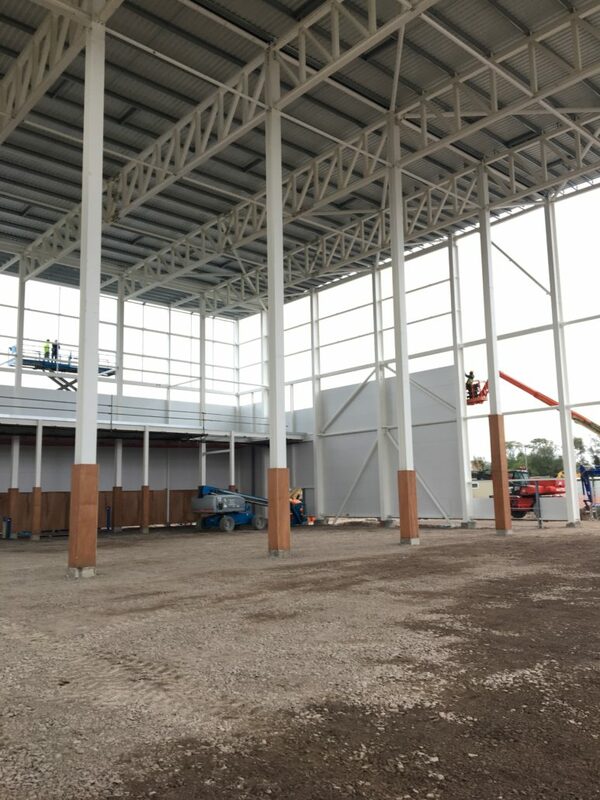 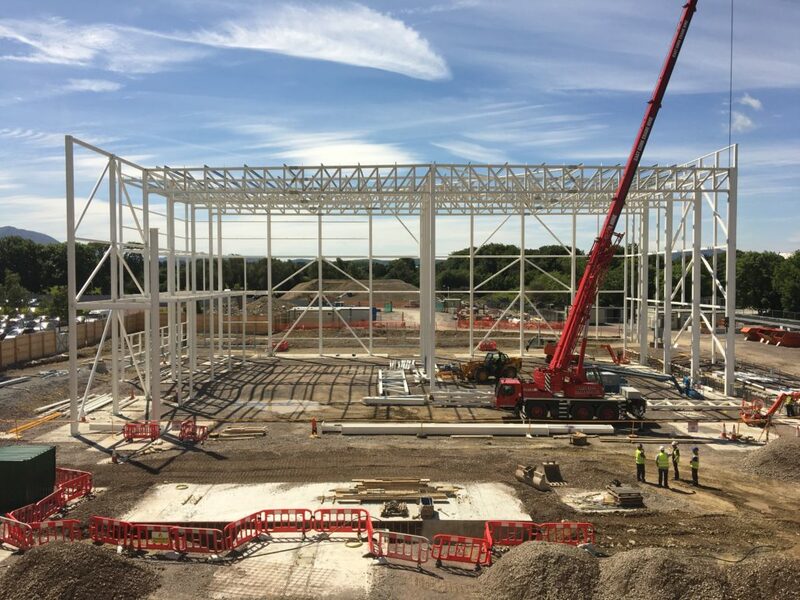 SRS are fabricating and erecting 800tn of steelwork, steel stairs, along with 3,500m2 of metal floor decking. 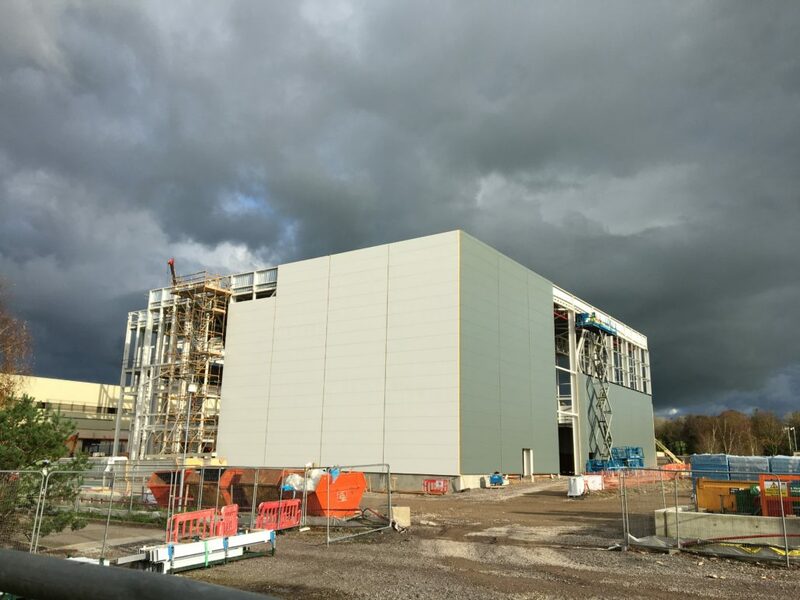 SRS are also supplying and installing Kingspan Dri-Design rain screen and Evolution panel, 2,000m2 of both. 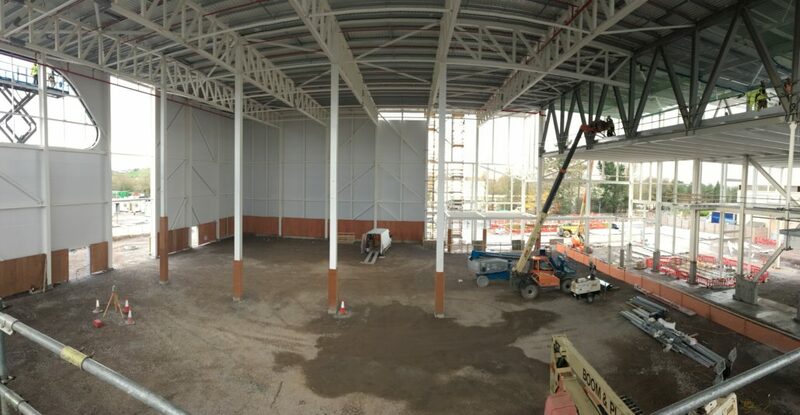 SRS are also installing 3,500m2 of paralon built up roof membrane system. 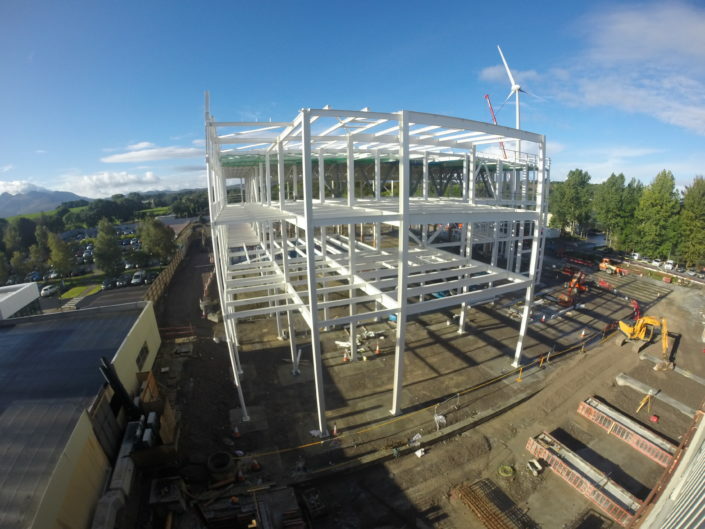 The main structure is comprised of 25m double span trusses. These trusses comprise the main warehouse area of the plant. A 36m span, 6m deep super truss weighing 28.75t divides the storage area from the office area of the building. 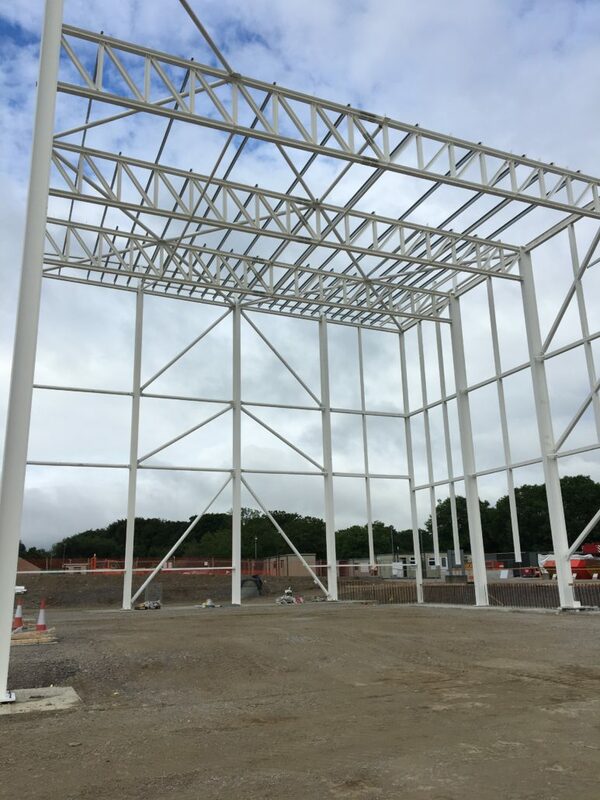 It was the architectural intent to have the supertruss installed in a single piece with no bolted joints. A fabrication workshop was set up on site and the supertruss was fabricated fully on site. 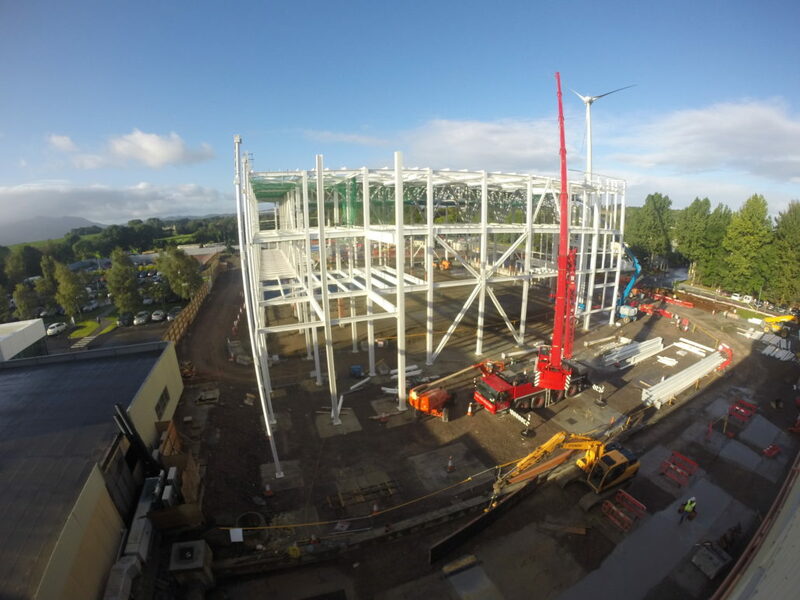 A video of the super truss move and erection can be seen in this post. 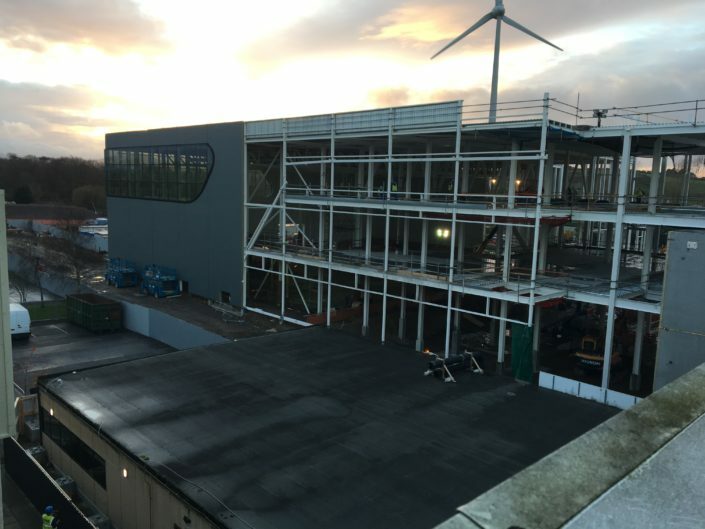 SRS have completed the structural steel frame and work on the cladding is ongoing with all works due to be complete mid 2018.